We are incompletely evolved mammals, and along with our appendix and coccyx we have a vestigial bias towards negativity and violence. What to do? 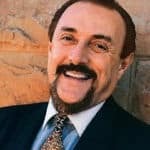 Dr. Zimbardo describes his “Heroic Imagination” Project, which has the goal of training people how to be “heros” around the globe.